Share Market Today: Indian stock markets (Sensex and Nifty) ended flat on Wednesday in an extremely volatile stock market trading with BSE Sensex managing to finish at a closing all-time high and NSE Nifty closing marginally lower in red as Axis Bank, TCS and NTPC cracked. Share Market Today: Indian stock markets (Sensex and Nifty) ended flat on Wednesday in an extremely volatile stock market trading with BSE Sensex managing to finish at a closing all-time high and NSE Nifty closing marginally lower in red as Axis Bank, TCS and NTPC cracked. 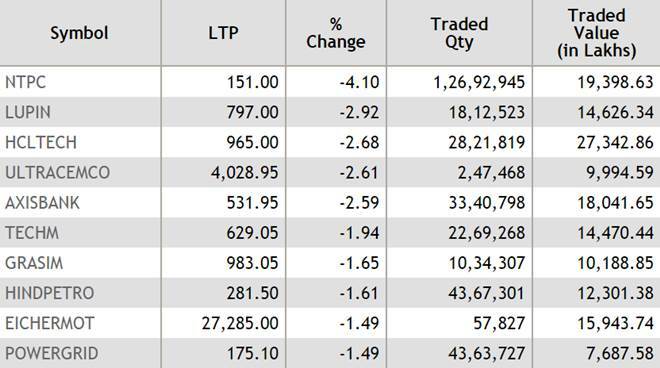 The domestic share markets erased the afternoon gains with BSE Sensex slipping more than 100 points from the all-time high of 36,947.18 and NSE Nifty tripping below 11,150-level following the plunge in shares of Axis Bank, TCS, Bharti Airtel, HUL and NTPC. Indian shares extended gains in the afternoon deals with BSE Sensex hitting a new all-time high of 36,947.18 and NSE Nifty moving above 11,150 following the sustained upmove in shares of HDFC twins, RIL and ITC. The broader Nifty 50 hit a nearly 6-month high of 11,157.15, the NSE benchmark index is just 14 points short of touching the all-time high of 11,171.55. The stock of Bharti Airtel was once the biggest loser among Sensex and Nifty but recouped partly in the late afternoon dealings. Shares of Bharti Airtel fell nearly 3% as India’s largest telecom company is scheduled to announce its Q1 FY19 results tomorrow, 26 July 2018. Shares of Anil Ambani’s telecom firm RCom gained nearly 15% intraday. Earlier in the morning session today, Indian equities fell in the negative territory within minutes of opening higher with BSE Sensex falling more than 100 points from the all-time high as shares of TCS, Infosys, ICICI Bank, Asian Paints cracked. In the early trading, BSE Sensex hit a new all-time high and NSE Nifty surpassed its previous 6-month high led by the uptick in shares of HDFC Bank and HDFC. Indian stock markets ended flat on Wednesday with BSE Sensex finishing marginally up at a new all-time high and NSE Nifty concluding slightly down in red as shares of heavyweight companies Axis Bank, NTPC and TCS extended losses. BSE Sensex ended at an all-new all-time high of 36,858.23, up by 33.13 points or 0.09% while NSE Nifty settled at 11,132, down by 2.3 points or 0.02%. Bharti Airtel recoups morning losses! Shares of telecom giant Bharti Airtel recouped most of its losses in the late afternoon session but was still trading marginally down. The stock of Bharti Airtel was trading at Rs 354, down 0.67% on BSE. Shares of India's third-largest private sector bank by assets Axis Bank shed a little more than 3% in the late session on Wednesday. The stock of Axis Bank was the second-biggest loser among the Sensex shares on Wednesday. Axis Bank shares fell 3.03% to Rs 529.45 on BSE today. 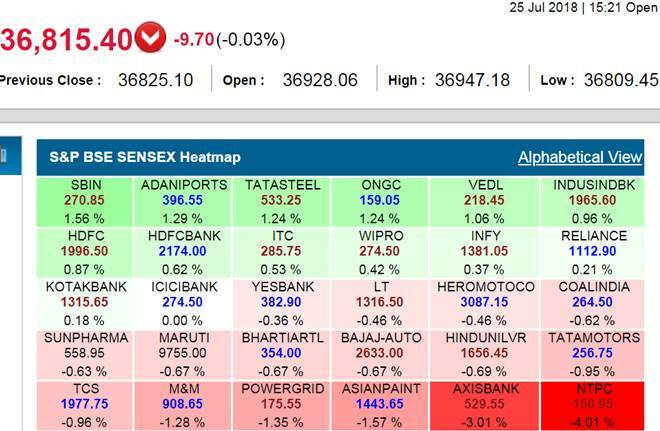 Sensex Live: Sensex turns red in last minute stock market trading! Shares of India's largest bank by asset size and country's third-largest bank by market capitalisation SBI (State Bank of India) rose more than 2% in the late afternoon deals. The stock of SBI surged 2.19% to a day's high of Rs 272.55 on BSE today. Shares of PC Jeweller shed nearly 13% in the afternoon deals amid heavy trading volumes. The stock of PC Jeweller extended losses and fell 12.7% to a day's low of Rs 80.1 on BSE today. Shares of the state-owned power generator NTPC fell nearly 5% in the afternoon deals. India's largest power utility firm NTPC is scheduled to announce Q1 results later this week on 28 July 2018. The stock of NTPC slumped as much as 4.83% to a day's bottom of Rs 149.85 on NSE today. 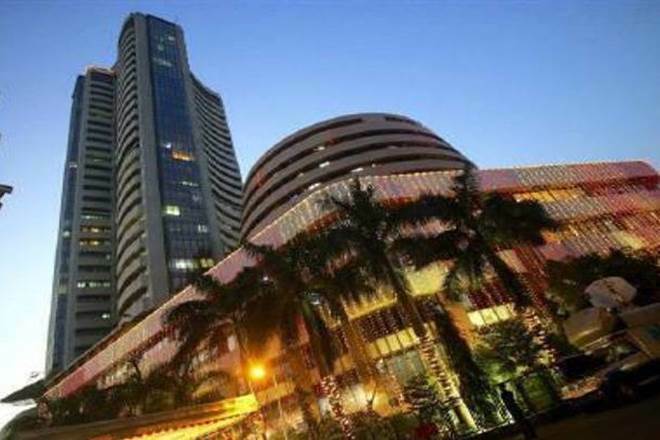 Sensex Live: Indian equity markets again retreated from the all-time highs in the afternoon trades with BSE Sensex falling more than 100 points from the all-time low of 36,947.18. BSE Sensex was trading at 36,858.92 , up 0.09%. Shares of Oriental Bank of Commerce fell more than 4% after the Gurgaon-based PSU lender reported a net loss of Rs 393.21 for the Apr-Jun period of FY19. The figure has narrowed from the net loss of Rs 486.2 crore in the same quarter last year. The stock of Oriental Bank of Commerce tumbled 4.32% to Rs 70.95 on BSE today. Oriental Bank's asset quality worsened with gross non-performing assets (NPAs) hitting 17.89% of the gross advances as on June 30, 2018, from 14.83% as on June 30, 2017. Shares of the Mumbai-headquartered drug maker Sun Pharmaceuticals were trading slightly changed at Rs 558.5, down 0.71% after the company said that one of its wholly-owned subsidiaries has launched generic metformin hydrochloride extended-release tablets, used for glycemic control, in the US market. Shares of PVR shed more than 3% after the multiplex chain operator posted a rise of 17% in the Q1 net profit (consolidated) to Rs 52 crore. Amid heavy volumes, the stock of PVR fell 3.03% to a day's bottom of Rs 1,136.65 on BSE today. Shares of BHEL fell 3% in the afternoon deals to a day's low of Rs 71 on BSE. The stock of BHEL rose nearly 7% after the power equipment maker reported a massive spike of 93% in the standalone net profit to Rs 155.58 crore. Shares of India's second-largest IT company Infosys hit an all-time high in the late morning deals. The stock of Infosys surged 1.21% to Rs an all-time high of Rs 1,393.8 on NSE today while the stock touched a lifetime high of Rs 1,392.1, up by 1.17%. The wider share indicator NSE Nifty 50 was just 14 points away from touching the all-time high of 11,171.55. NSE Nifty hit a 6-month high of 11,157.15, up by 22.85 points. The S&P BSE Sensex went higher in afternoon deals hitting an all-new all-time high of 36,947.18 following the upsurge in the heavyweight stocks. BSE Sensex added as much as 122.08 points to hit an all-time peak of 36,947.18. 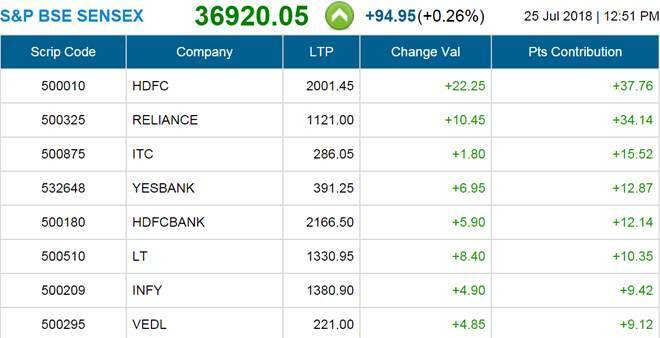 Sensex Live: The benchmark Sensex hit a fresh all-time high in the afternoon deals on Wednesday following the sustained uptick in the shares of Reliance Industries, HDFC and HDFC Bank. BSE Sensex touched a fresh all-time high of 36,929.68, up by 104.58 points. Shares of Adani Ports and Special Economic Zone rose more than 2% after conglomerate Adani Group on Tuesday said that its coal mining volumes are expected to touch 80 million tonnes by the end of March 2021. The stock of Adani Ports added 2.44% to Rs 401.05 on BSE today. Shares of the kitchen appliances maker TTKK Prestige fell nearly 2% in the mid-morning session after the company reported 73% drop in the net profit to Rs 35.9 crore for the June quarter. The stock of TTK Prestige fell 1.75% to Rs 5,750 from a share price level of Rs 5,852.15 on BSE today. Most Asian currencies were treading water on Wednesday ahead of a meeting between the presidents of the United States and European Commission, with the uncertainty from a deepening trade dispute discouraging nervous investors, Reuters said in a report. The dollar index against a basket of major currencies stood little changed at 94.644, off its two-week low of 94.207 hit on Monday, the report added. 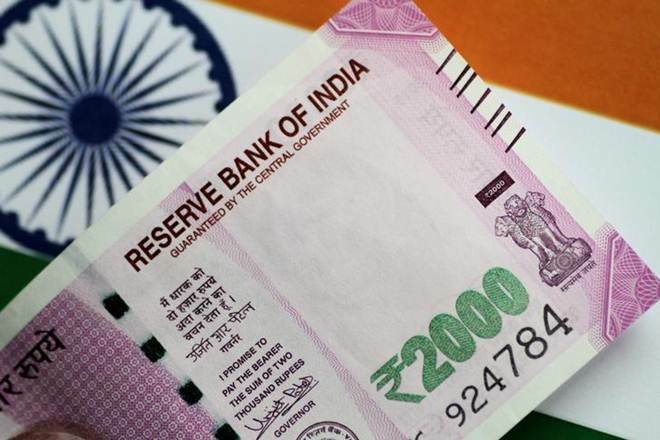 The Indian rupee recovered a little more than 16 paise against US dollar in the afternoon session after losing slightly in the opening trade on Wednesday. The rupee added 16 paise to 68.7813 per unit US dollar, Bloomberg data showed. 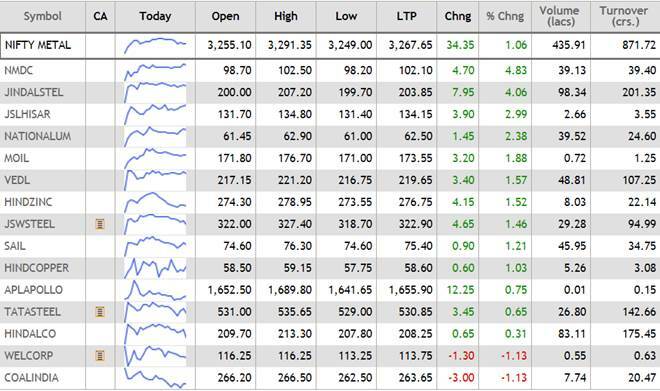 Sensex Live: The benchmark Sensex retook 36,900 in the early afternoon deals on Wednesday as shares of Reliance Industries, HDFC Bank, HDFC, Infosys contributed the most in the index gains. BSE Sensex was trading at 36,883.39, up 0.16%. Shares of ICICI Group's life insurance firm ICICI Prudential Life surged nearly 7% on Wednesday even after company reported a fall of 30% in the Q1 net profit. The stock of ICICI Prudential Life rose 6.7% to Rs 411.6 on NSE. This was the biggest intraday percentage gain since 25 April 2018. The global research and brokerage firm CLSA is expecting premium growth to normalise and margins to expand. The rise in share of protection premium, better persistence, change in tax assumptions key drivers of margin expansion, Reuters reported citing unidentified CLSA analysts. 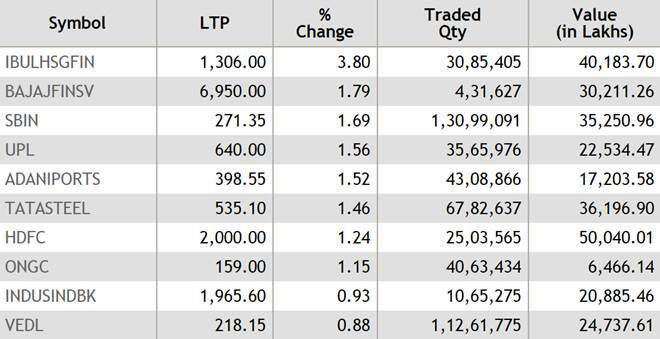 Out of 23 brokerages, 22 rate the stock "buy" or higher, 1 "hold"; their median PT is 520 rupees, a Reuters report said. Shares of Anil Dhirubhai Ambani Group's telecom company RCom (Reliance Communications) and heavy equipment maker RNaval (Reliance Naval and Engineering) gained more than 4% each. The stock of RCom surged 14.71% to Rs 15.6 while the stock of Reliance Naval advanced 4.92% to Rs 12.8. Shares of Jyothy Lab fell more than 2% even after the FMCG company posted a 57% in the standalone net profit to Rs 32.38 crore for the June quarter of FY19. The stock of Jyothy Lab was trading down 1.23% at Rs 224.1 on BSE today. 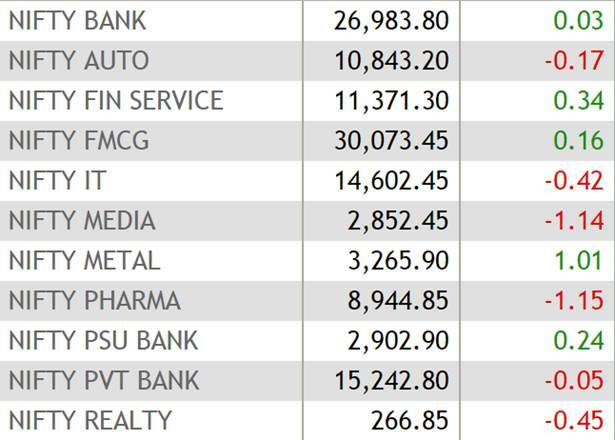 Sensex Live: The benchmark Sensex index traded flat in the mid-morning deals on Wednesday with shares of HDFC, Infosys, Reliance Industries, Yes Bank and HDFC Bank managing to offset the losses done by share of Kotak Mahindra Bank, TCS, Bharti Airtel, NTPC and Maruti Suzuki. BSE Sensex was trading at 36,847.91, up 0.06%. Shares of the New Delhi-based jewellery maker PC Jeweller extended yesterday's losses. The stock of PC Jeweller has dropped more than 40% after the company withdrew its share buyback proposal. The stock of PC Jeweller shed 6% to a day's low of Rs 86.3 on BSE today. Even as broader equity indices in the country have touched new highs, several large-cap funds have underperformed in the first six months of the current calendar year. Out of 30 large-cap schemes, only four have managed to give positive returns in the period of January-June 2018. Earlier yesterday, the FPIs (foreign institutional investors) bought equity shares worth Rs 104 crore and DIIs (domestic institutional investors) purchased equity worth Rs 514 crore, on a net basis, according to the latest data available with the stock exchanges. Shares of Bharti Airtel were under pressure on Wednesday as country's largest telecom company is set to declare Q1 FY19 results tomorrow, 26 July 2018. The stock of Bharti Airtel extended morning losses and fell 3.48% to a day's low of Rs 344 on BSE today. HDFC AMC IPO opens: Should you invest? HDFC AMC IPO: The IPO (intial public offering) of India’s second largest fund house HDFC AMC’s IPO opened today, 25 July 2018, for the subscription. HDFC AMC has expected to raise up to Rs 2,800 crore at the upper end of the price band of Rs 1,100. Take a look at what brokerages have to say on the issue. The domestic equity markets rose in the early session today following the upsurge in the Asian stock markets on the back of upbeat Wall Street. Asian stocks were higher on Wednesday, supported by strong Wall Street earnings and hopes China's government spending would boost growth but trade tensions remain in focus ahead of a meeting between the US and European Commission presidents, Reuters said in a report. Meanwhile, crude oil prices rose for a second day on Wednesday after industry group data showed US crude inventories fell more than expected last week, easing worries about oversupply that had dragged on markets in recent sessions, Reuters reported.